Phong Nha-Ke Bang (Vietnamese: Vườn quốc gia Phong Nha-Kẻ Bàng) is one of the world's largest karst regions with 300 caves and grottoes. They extend about 70 kilometers (43 mi) with the world's longest underground river, as well as the largest caverns and passageways ever discovered. The government of Vietnam declared Phong Nha-Ke Bang a national park in 2001 to protect the cave and grotto system as well as the ecosystem of the limestone forest there. Some of the evergreen trees are dated at 500 to 600 years old. Among the hundreds of types of flora, thirty six endangered species thrive. Fauna abounds throughout the park as well, including twenty three endangered species and sixty six receiving special protection from the Vietnamese government. The region is also important as an archeological site. Neolithic artifacts have been found from Vietnam's prehistoric period as well as excellent samples of hieroglyphic script of the Cham tribe. It is thought by some archeologists that the Bi Ky grotto may have housed a Champa mosque during the ninth through eleventh centuries. Champa inscriptions from early Vietnamese history have been carved on steles and altars. Champa-style ceramics as well have been discovered there. UNESCO declared Phong Nha-Ke Bang a World Heritage Site in 2003. Phong Nha-Ke Bang is located in the Bố Trạch and Minh Hóa districts of central Quang Binh Province, in north-central Vietnam, about 500 kilometers south of the nation's capital, Hanoi. The park borders the Hin Namno Nature Reserve in the province of Khammouan, Laos by the west, forty two kilometers east of South China Sea. Phong Nha-Ke Bang National Park is located in a limestone zone of 200,000 hectare in Vietnamese territory and borders another limestone zone of 200,000 hectares of Hin Namno in Laotian territory. The core zone of the national park covers 85,754 hectares and a buffer zone of 195,400 ha. Champa inscriptions carved on steles and altars in the cave give evidence that people had inhabited the cave long before Vietnam annexed the area in the Nam Tien southward expansion. In 1550, Dương Văn An became the first Vietnamese man to write about Phong Nha cave. 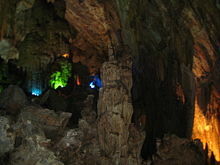 Phong Nha cave has been depicted in nine urns in the Citadel of the Nguyen Dynasty in Huế. In 1824, king Minh Mang conferred the title "Diệu ứng chi thần" (Han Tu: 妙應之神) on Phong Nha cave. Nguyen kings bestowed the title "Thần Hiển Linh" (Han Tu: 神顯靈). In the late nineteenth century, Léopold Michel Cadière, a French Catholic priest, conducted an expedition to explore Phong Nha cave, in which he discovered Champa scripts. 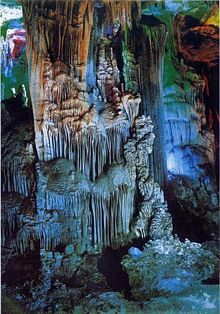 He proclaimed Phong Nha cave "the number one cave of Indochina." In July 1924, an English expeditionist, Barton, declared Phong Nha cave second to neither of famous caves of Padirac (France), or Cuevas del Drach (Spain) in respect to beauty. In 1935, a local inhabitant accidentally discovered a beautiful cave one kilometer from Phong Nha cave mouth, at a depth of 200 meters. The cave received the name Tien Son cave (lit. : Fairy-tale cave), or Dry cave because of the lack of an underground river. In 1937, the Bureau of Tourism of French Resident Superior (in Huế) issued a brochure to promote tourism in Quang Binh, introducing Phong Nha Cave in the brochure. Before 1990, Vietnamese and foreign groups conducted several explorations. From 1990 the number of discovery and research expeditions increased dramatically, leading to a drafting of documents recommending the site as a UNESCO for World Natural Heritage designation. The Vietnamese government officially declared the Phong Nha Nature Reserve on August 9, 1986, designating an area of 5,000 ha, later extending that to 41,132 ha by 1991. On December 12, 2001, the Vietnamese Prime Minister announced upgrading the nature reserve to a national park to protect the biodiversity of the park, especially rare species of fauna and flora native to the region. The park covers a total area of 857.54 square kilometers divided into three zones, a "strictly protected zone" (648.94 km²), an "ecological recovery zone" (174.49 km²), and an "administrative service zone" (34.11 km²). The national park has a tropical, hot, and humid climate with an annual mean temperature of 23 to 25 °C, a maximum temperature of 41 °C in the summer and a minimum of 6 °C in the winter. The hottest months fall between June to August, with an average temperature of 28 °C, and the coldest months from December to February, with an average temperature of 18 °C. Annual rainfall measures 2,000 mm to 2,500 mm, and 88 percent of the rainfall between July to December. Mean annual relative humidity measures 84 percent. The Phong Nha–Ke Bang karst has evolved since the Paleozoic (some 400 million years ago), the oldest major karst area in Asia. Massive tectonic changes, comprising a series of rock types that inter-bed in complex ways, have occurred. As many as seven different major levels of karst development have occurred as a result of tectonic uplift and changing sea levels, making the karst landscape of the park extremely complex with high a geodiversity and many geomorphic features. Like much of Vietnam, the limestones of Phong Nha have inter-bedded with a number of other rocks. Investigations point to sulfurous solution and hydrothermal action playing an important role in shaping the broad-scale landscape and the caves. Spectacular stalagmite in a cave in the Phong Nha Ke Bang National Park. Five stages of the Earth's crust development and movement impacted Phong Nha-Ke Bang: Late Ordovician-Early Silurian Stage (about 450 Ma), Middle-late Devonian Stage (about 340 Ma), Carboniferous-Permian (about 300 Ma), Mesozoic Orogenic stage, and Cenozoic stage. Phong Nha-Ke Bang also contains two dozen mountain peaks over 1,000 meters high. Noteworthy peaks include the Peak Co Rilata with a height of 1,128 meters and the Peak Co Preu with a height of 1,213 meters. 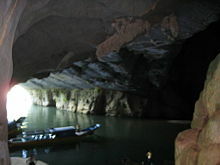 Besides the grotto and cave systems, Phong Nha has the longest underground river in the world. 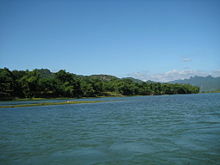 The Son and Chay are the main rivers in the national park. Most of caves have been shaped by Son and Chay Rivers. The Son River flows into the mouth of the Phong Nha cave and continues underground. Called the Nam Aki River, it emerges 20 kilometers to the south near Pu-Pha-Dam Mountain. Ten spectacular streams, springs and waterfalls exist in Phong Nha-Ke Bang area, namely: Gió waterfall, Madame Loan waterfall, Mọc stream erupting from a limestone mount range, and Trạ Ang stream. Phong Nha-Ke Bang covers 300 different grottoes and caves. Phong Nha cave has been evaluated as the top cave in the world due to its four records: the longest underground river, the highest and longest cave, broadest and most beautiful fine sand beaches inside the caves, the most spectacular stalagmites and stalactites. According to the assessment of UNESCO, "The karst formation of Phong Nha-Ke Bang National Park has evolved since the Paleozoic (some 400 million years ago) and so is the oldest major karst area in Asia" and "Phong Nha displays an impressive amount of evidence of earth’s history. It is a site of very great importance for increasing our understanding of the geologic, geomorphic and geo-chronological history of the region." 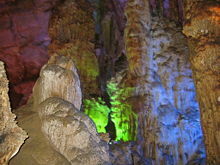 The Phong Nha cave inspired the name for the Park. Famous rock formations have been given names such as the "Lion," the "Fairy Caves," the "Royal Court," and the "Buddha." The cave measures 7729 meters long, contains fourteen grottoes, with a 13,969 meter long underground river. Scientists have surveyed 44.5 kilometers of grottoes in the cave so far, but visitors may explore only a distance of 1500 meters. The main Phong Nha cave includes fourteen chambers, connected by an underwater river that runs for 1.5 kilometers. Secondary corridors branch off in several directions. The Outer Cave and some of the Inner Caves have roofs that tower between twenty five and forty meters above the water level. Notable caves and grottoes include Phong Nha Cave system, Vom Cave systems, the Tien Son Cave, and Thien Duong Cave. The park belongs to the Annamites eco-region. Tropical dense moist evergreen forest on limestone under 800 meters above sea level comprises by far the largest vegetation type. Forest cover 96.2 percent of the national park, 92.2 percent constituting intact primary forest. According to the results of initial surveys, the primary tropical forest in Phong Nha-Ke Bang 140 families, 427 genera, and 751 species of vascular plants, including thirty six endangered species. Hopea sp., Sumbaviopsis albicans, Garcinia fragraeoides, Burretionendron hsienmu, Chukrasia tabularis, Photinia aroboreum, and Dysospyros saletti constitute the most common tree species in the park. Seedlings can only grow in holes and cracks in the limestone where soil has accumulated, so in general regeneration after disturbance proceeds slowly. evergreen tree species with scattered deciduous trees such as Dipterocarpus kerri, Anogeissus acuminate, Pometia pinnata, and Lagerstroemia calyculata dominate the forest. The dominant plant families include the Lauraceae, Fagacaeae, Theaceae and Rosaceae, with some scattered gymnosperms such as Podocarpus imbricatus, Podocarpus neriifolius, and Nageia fleuryi. A 5000-ha forest of Calocedrus macrolepis on limestone (Calocedrus rupestris) mounts with about 2,500 trees, 600 per hectare exists, constituting the largest forest with this tree in Vietnam. Most of the trees have been dated at 500 to 600 years old. The forest serves as home to ninety eight families, 256 genera and 381 species of vertebrates. Sixty-six animal species have been listed in Vietnam's Red Data Book and twenty three other species in the World Red Book of Endangered Species. In 2005, a group of Vietnamese biologists, together with biologists working for the park, Cologne Zoo in Germany and the Saint Petersburg Wild Zoology Institute in Russia discovered a new species of gecko (Lygosoma boehmeiwas). The Gaur, and one specie of eel, have been discovered in the park. Scientists discovered ten species never seen before in Vietnam. The Park hosts significant populations of primates, with ten species and sub-species. Those include the globally vulnerable Pig-tailed Macaque, Assamese Macaque, Stump-tailed Macaque and White-cheeked Crested Gibbon (Nomascus leucogenys and Nomascus leucogenys siki). The Park hosts the largest population of Francois' Langur in Vietnam, including two different forms of the specie. A population of Hatinh Langur and Black Langur, the largest population of those species in the world and the only population represented in a protected area, inhabit the park. Other endangered large mammals include the Mainland Serow (Capricornis sumatraensis), Giant Muntjac (Megamuntiacus vuquangensis), and the Saola (Pseudoryx nghetinhensis). The Asiatic Black Bear (Selenarctos thibetanus) and Sun Bear (Helarctos malayanus) live in the park. Other smaller mammals include Sunda Pangolins (Manis javanica) and the recently discovered Striped hare, called locally 'tho van' (Nesolagus timminsii). Ten bat species listed in the IUCN List of Threatened Species have been recorded in the park. Of the fifty nine recorded reptile and amphibian species, the Vietnam's Red Data Book lists eighteen while the IUCN Red List of Threatened Animals lists six. The seventy two fish species include four species endemic to the area, including Chela quangbinhensis. The park offers refuge to over 200 bird species, inclusive of several rare birds such as: Chestnut-necklaced Partridge, Red-collared Woodpecker, Brown Hornbill, Sooty Babbler and Short-tailed Scimitar-babbler. The Vietnamese Pheasant (Lophura hatinhensis) and Imperial Pheasant (Lophura imperialis) species have been spotted in Phong Nha-Kẻ Bàng area. In an initial survey, Russian and Vietnamese scientists from Vietnam-Russia Tropical Centre (funded by WWF) recorded 259 butterfly species in eleven families. Almost all major butterfly taxa in Vietnam have been sighted in Phong Nha-Ke Bang National Park. Neolithic axe heads and similar artifacts found in some of the caves give evidence of the first human habitation in the area. An ancient hieroglyphic script of the Cham ethnic minority had been found in Phong Nha-Ke Bang . In 1995, the Archeological Institute of Vietnam noted Phong Nha cave as an extremely important archeological site, suggesting that the Bi Ky grotto may have sheltered a Champa mosque from the ninth to eleventh century. Inside Phong Nha cave, many Champa style ceramics with lotus-shaped ruby-colored, and slight pink mouth earthenware vases have been found. In early twentieth century, cave explorers and researchers from France and the UK discovered several ancient Champa and Vietnamese relics, such as altars, steles, hieroglyphic script, sculptures, stone statues, Buddha statues, and Chinese artifacts. King Ham Nghi built a base for the Vietnamese resistance against the French colonialism during the late nineteenth century. During the Vietnam War, the caves served as an impregnable major base of the North Vietnamese Army. The Park Management Board includes 115 people serving as zoologists, botanists, silviculturists, and socio-economists. The management staff lacks the authority to fine violators and lacks equipment like helicopters and sufficient funds, hamstringing their attempts to efficiently deal with natural and human threats to the park. The government has created an eighteen hectare semi-wild zone, surrounded by electrical wire fence, for the primate species. The preserve had been sponsored by Zoologische Gesellschaft Frankfurt (Germany) to provide a sanctuary for ten species of primates, including Trachypithecus francoisi hatinhensis, red-shanked douc langur or Pygathrix nemaeus nemaeus). 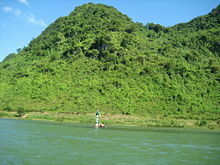 Two villages, Arem and Ma Coong, exist in the core zone of the Phong Nha-Ke Bang National Park. 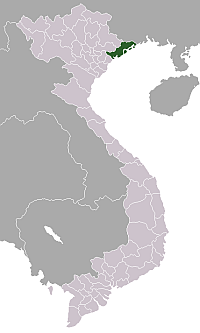 The buffer zone has a population of 52,001, mainly Kinh people and other minority groups of Chut and Van Kieu. Many of the villagers living in the buffer zone exploit the forest for a livelihood. The increase of visitors to the park has increased water pollution & rubbish pollution. Hunting by locals has been a significant threat to the wildlife, especially the wild pig, binturong, rare eels like Anguilla marmorota and Anguilla bicolo, and primates. Locals cutting of rare wood such as Go Mun wood (Diospyros spp.) and Go Hue wood (Dalbergia rimosa) has harmed the forests. During the construction of roads, blasts and construction work have kept several primates away from their regular habitat. Limestone in Phong Nha-Ke Bang area has been exploited for commercial purposes by local inhabitants. The provincial government approved a 3600MW coal-fueled thermoelectric plant in Vĩnh Sơn village, Quảng Đông commune, Quang Trach district, forty kilometers northeast of the national park. The project has many environmentalists deeply concerned. The German government announced on November 3, 2005, funding of 12.6 million euros for the purpose of protecting the biodiversity of the park. They earmarked the funds for the park's management board. In 2007, the German government donated a further 1.8 million euros to Vietnam for protection of the park. Fauna & Flora International (FFI) donated USD 132,000 to Phong Nha-Ke Bang National Park Management Board for the protection of primates in the park as well as in the buffer zone. In 1998, Fauna & Flora International conducted a training program for the management staff of the park. The British Commission for International Development sponsored a fund for the WWF to protect the biodiversity in the park and in the adjacent Hin Namno Nature Reserve in Laos. The Fauna & Flora International also received environmental funding from the British Department for Environment, Food and Rural Affairs to implement a campaign targeted at increasing awareness about biodiversity protection among tourists and locals. ↑ 1.0 1.1 1.2 1.3 1.4 1.5 1.6 1.7 1.8 Phong Nha-Ke Bang National Park, United Nations Environment Programme. Retrieved August 3, 2008. ↑ UNESCO, World Heritage Nomination, IUCN Technical Evaluation; Phong Nha-Ke Bang National Park, p. 53, 54, 55. Retrieved August 3, 2008. ↑ 3.0 3.1 3.2 Vietnam Geological and Mineral Resources Department, Di sản thiên nhiên thế giới - Vườn quốc gia Phong Nha - Kẻ Bàng (Quảng Bình). Retrieved August 4, 2008. ↑ NEA, Decision by the Vietnamese Prime Minister on establishment of Phong Nha-Ke Bang National Park. Retrieved August 3, 2008. ↑ Tuổi Trẻ, Phát hiện mới ở Phong Nha. Retrieved August 3, 2008. ↑ Peace Tour Co, Di sản thiên nhiên Phong Nha Kẻ Bàng. Retrieved August 3, 2008. ↑ 7.0 7.1 UNESCO, Phong Nha-Ke Bang National Park. Retrieved August 4, 2008. ↑ 8.0 8.1 Encyclopedia Earth, Phong Nha-Ke Bang National Park. Retrieved August 22, 2008. 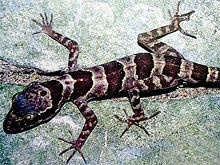 ↑ reptiles.swelluk, New Lizards Species Found. Retrieved August 4, 2008. ↑ Practical Fishkeeping, New species found in Vietnam. Retrieved August 4, 2008. ↑ 11.0 11.1 Bird Life of Indochina, Birding Center in Vietnam. Retrieved August 3, 2008. ↑ 12.0 12.1 Tuoitre, "Cái nôi" văn hóa và lịch sử Phong Nha - Kẻ Bàng. Retrieved August 3, 2008. ↑ thiennhien, Phong Nha - Kẻ Bàng: Độc đáo khu bảo tồn linh trưởng (Vietnamese). Retrieved August 4, 2008. ↑ VNN, Thú rừng Phong Nha - Kẻ Bàng ngắc ngoải kêu cứu...trong nồi (wild animals in Phong Nha-Ke Bang forest are dying in cooks). Retrieved August 22, 2008. ↑ WRM, Vietnam: Road-building threatens Phong Nha Nature Reserve. Retrieved August 4, 2008. ↑ Quanbinh Online, Hãy bảo vệ Phong Nha – Kẻ Bàng. Retrieved August 4, 2008. ↑ German Embassy in Vietnam, Đức giúp Vườn quốc gia Phong Nha – Kẻ Bàng. Retrieved August 3, 2008. ↑ Dantri, Đức ủng hộ gần 2 triệu euro cho Vườn Quốc gia Phong Nha Kẻ Bàng. Retrieved August 3, 2008. Đại học quó̂c gia Hà Nội. 2001. Kỳ quan hang động Việt Nam = The wonders of Vietnamese caves. [Hà Nội]: Trung tâm Bản đò̂ và Tranh ảnh Giáo dục. OCLC 49890530. Lambert, F. R., J. C. Eames, and N. Cu. 1996. "The habitat, status, vocalizations and breeding biology of Blue-rumped Pitta Pitta soror annamensis in central Vietnam." Forktail. (11): 151-154. OCLC 194944824. Nguyẽ̂n, Bính, and Quang Huy. 1993. Thơ Nguyẽ̂n Bính. Hà Nội: Văn hóa - thông tin. OCLC 64087230. Timmins, R. J. 1999. A preliminary assessment of the conservation importance and conservation priorities of the Phong Nha-Ke Bang proposed national park, Quang Binh province, Vietnam = Đánh giá sơ bộ về ý nghĩa và những ưu tiên bảo tồn dề xuất Vuờn Quốc gia Phong Nha-Kẻ Bàng, tỉnh Quảng Bình, Việt Nam. Hanoi: Fauna & Flora International—Indochina Programme. OCLC 43973196. UNESCO World Heritage page for Phong Nha-Ke Bang. Pictures of Phong Nha Ke Bang. History of "Phong Nha-Ke Bang"